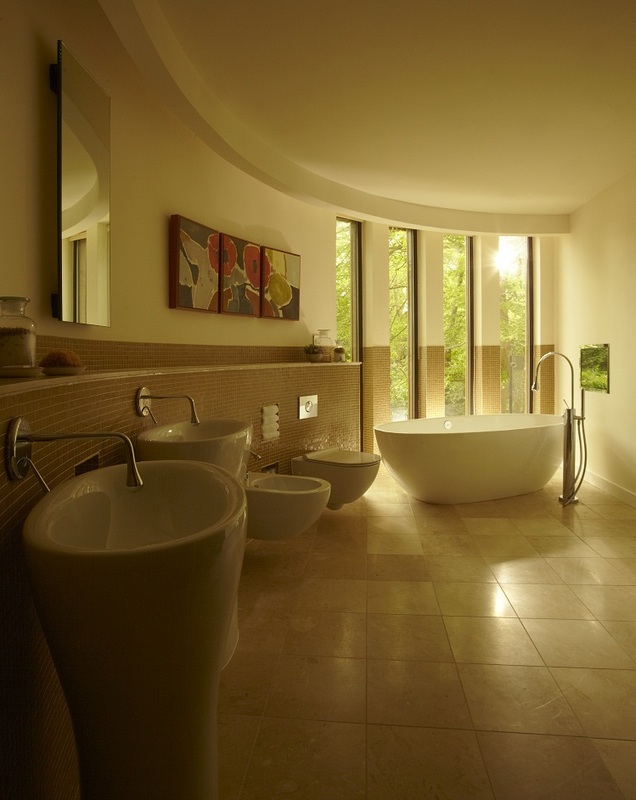 The rooms were rather fabulous, it has to be said: the first thing you see on entering is the glass wall right in front of you, which completely slides away to reveal a private balcony on which are table and chairs, reclining sunlounges and yes, your very own hot tub, all ready and steaming away. 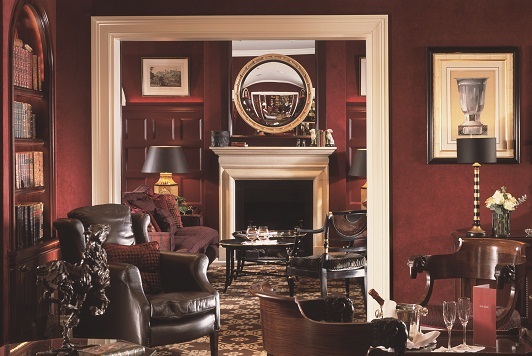 Back in the main room were the attributes of a luxury suite – a massive flatscreen TV, a wonderfully-squashy sofa practically hidden under hundreds of cushions, log-burning stove, an impressive sound system – but there was also an attention to detail which gave it a very welcoming air. A basket of white, fluffy towels by the doors awaited people coming in from the hot tub, a well-equipped kitchenette offered everything from freshly ground coffee, posh almonds, jars of sweets and little truffles and there was fresh milk in the fridge, alongside complimentary bottles of cider and a very welcome half bottle of Taittinger champagne. Lovely little touches – such as pretty wicker baskets, a wooden chess set, beautiful little paintings – were dotted around to make it feel informally opulent and the welcoming feel continued through to the bedroom – also with its roll-back glass patio doors – and the beautiful bathroom with free-standing bath, separate walk-in shower and more fluffy towels than you’d know what to do with. 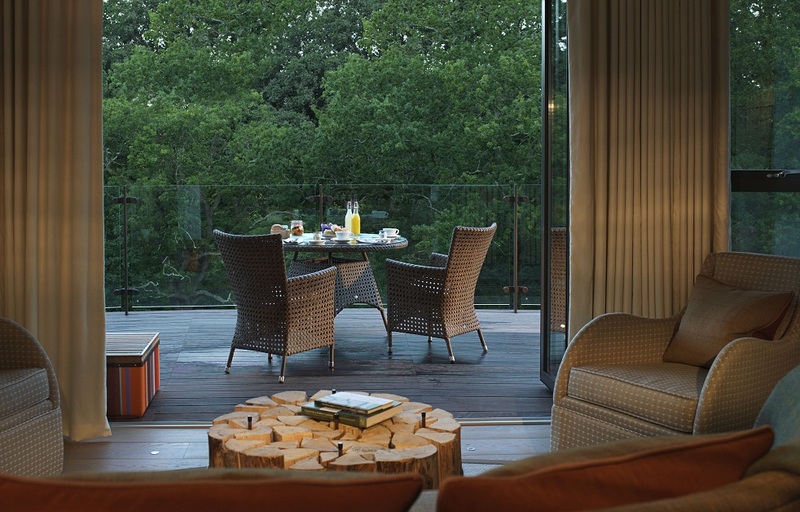 (For those for whom a one-night treehouse stay is not enough, Chewton Glen is running a four-night ‘Treetox‘ which includes personal training sessions on your very own balcony – see here for more details). 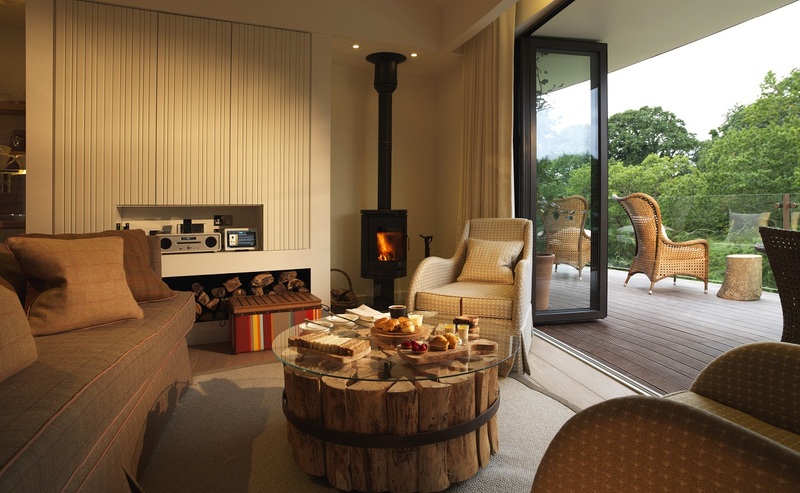 As well as honeymooning (or just particularly romantic) couples, the treehouses are very popular with families, mainly due to the additional double room upstairs with a Playstation where the kids can be safely stowed. 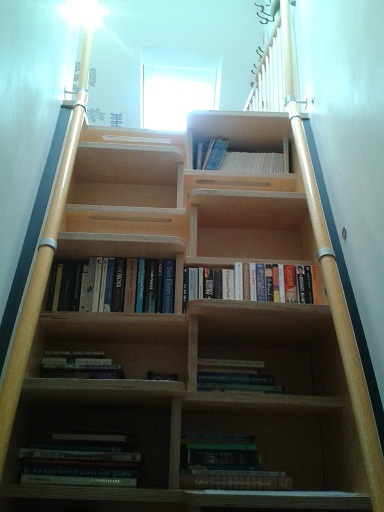 However they would have to be quite big kids, or good at scaling heights, as the room is reached via an extremely steep ladder-staircase, and the loo for the room is downstairs. (For sleepwalkers, there is a stairgate to stop you tumbling down the ladder during a nighttime stroll). I was all set for a glass of fizz in the hot tub – as you are on a typical Wednesday afternoon – but it was time to head to the spa. This is actually part of the main hotel building but with its own separate entrance, and is certainly a cut above your average hotel swimming pool. 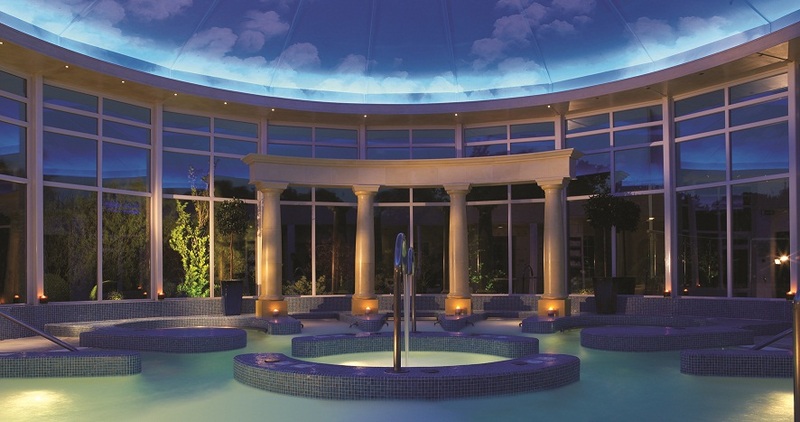 Constantly making the ‘best spas in the UK’ lists, the hotel’s leisure facility boasts a 17 metre indoor swimming pool, one of the largest hydrotherapy pools in Europe, a steam room, sauna and jacuzzi and various treatment rooms offering anything from reiki and hot stone massages to oxygen facials and Manipura body treatments. I had an extremely pleasant full body massage (one hour, £96) and what made it memorable was the womb-like warm and dark treatment rooms which were incredibly relaxing. Various people were lounging around in the poolside cafe which also had outdoor space for sunbathers and it was very tempting to sit with a glass or two of something and admire the view across the green lawns…. but time was marching on and it was back to the treehouse for a quick turnaround before dinner. A couple of buggy rides later – back to the treehouse and then off to the hotel after a shower and a change – and I was enjoying a very pleasant G&T in the hotel bar. 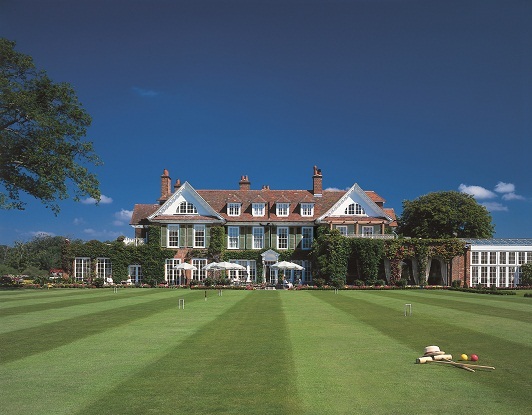 I was also given a tour of some of the available suites (which ranged from the really rather nice to the quite fabulous), many of which had their own roof terraces or balconies overlooking Chewton’s immaculate croquet lawn or surrounding meadows. You certainly wouldn’t feel you had missed out in any way by staying in the main hotel. 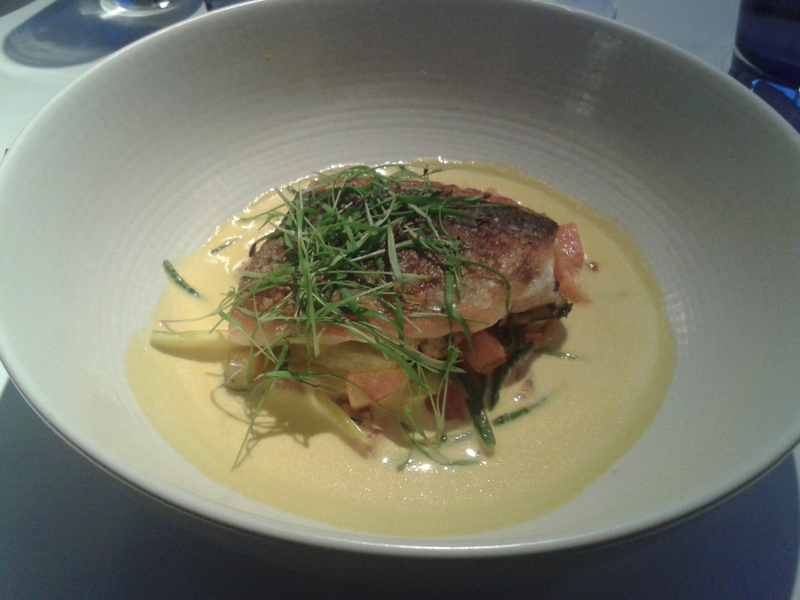 Dinner at its Vetiver restaurant was a smart but relaxed affair – I had the roast diver scallops, smoked coral risotto and Dorset leaves followed by line-caught Cornish seabass. This came in a mussels, saffron and samphire broth so delicious that I could have drunk it by the glass, and after that and a glass of wine I was way too full to try any of the desserts, which included panna cotta, lemon tart and chocolate fondant. Leaving dinner to get yet another buggy back to our treehouse, we enquired about breakfast and were told with great excitement that treehouse guests had their breakfast delivered by hamper first thing in the morning. I was wondering whether you were sent the raw materials for a full English and were left to make it yourself, when we were told that the treehouse breakfasts consisted of pastries, buckwheat pancakes and something involving chorizo. We both drooped. A cooked breakfast at a country house hotel is one of the unmissable treats in a night away and buckwheat pancakes in our splendid isolation just didn’t feel the same, really. Could we instead have breakfast in the hotel, we asked rather pathetically, and were so delighted when they said yes that we purchased a Chewton Glen teddy bear in celebration. (Chewton has now come with me on every subsequent hotel review for ALadyofLeisure.com and is an expert traveller). 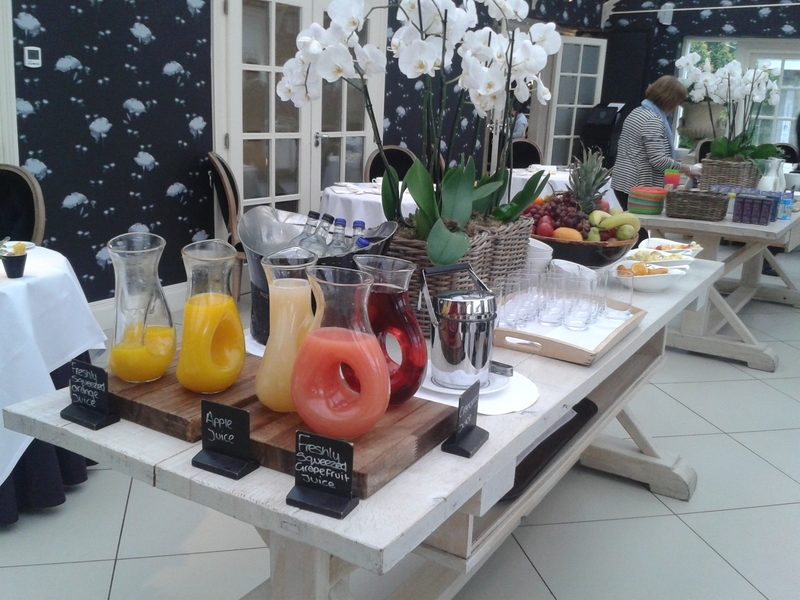 It was the right choice: breakfast was superb, a vast spread of cereals, yoghurts, cooked meats and cheese, alongside toast, endless juices and an abundance of pastries. There was also the pleasure of a hot cooked breakfast (eggs and smoked salmon for me) while doing that lovely British people-watching of your fellow guests while pretending to admire the view. And all in the smug knowledge that they hadn’t gone back to their rooms after dinner, as we had done, and jumped straight into the hot tub with a glass of champagne. 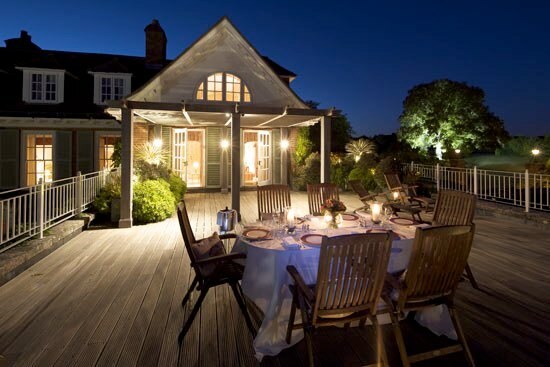 Bubbles under the midnight sky and over the forest floor – a memorable stay indeed. 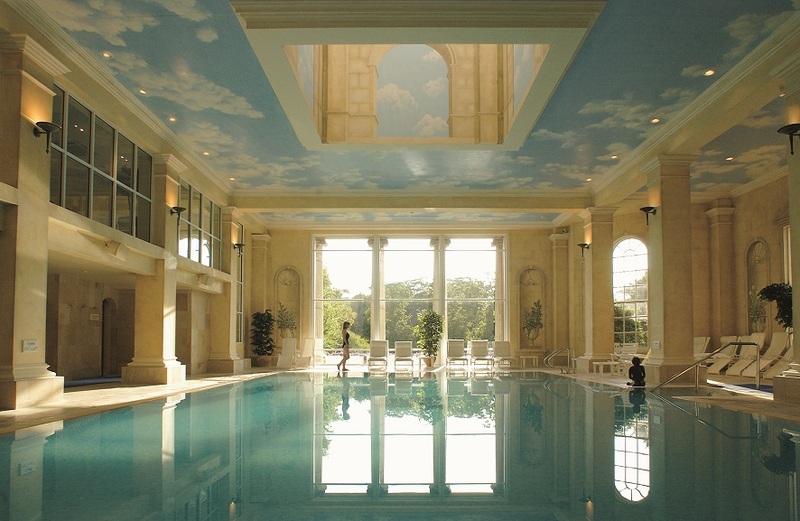 Chewton Glen is part of Relais & Chateaux hotels.